I am using canonical URL. I also disallow replytocom? in robot.txt, but the problem still here. Google treats those URL variations as totally different pages, therefore reporting duplicate content. If you 301 redirect /somepage to /somepage/ then Google will "see" only the /somepage/ version. Not the answer you're looking for? Browse other questions tagged google-search-console duplicate-content canonical-url or ask your own question. 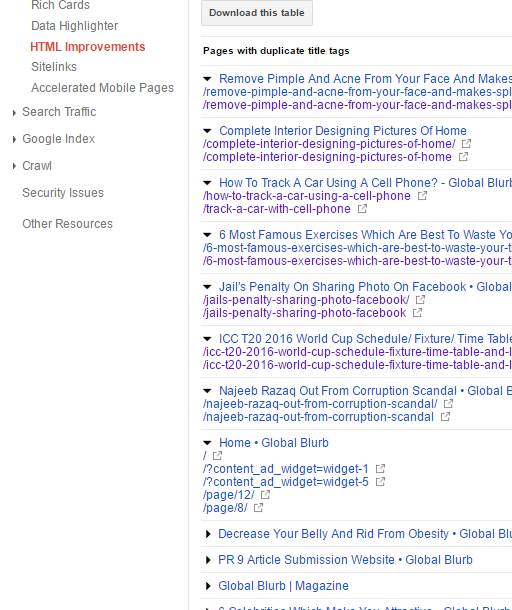 Why are these pages showing as duplicate content in Google Webmaster Tools?